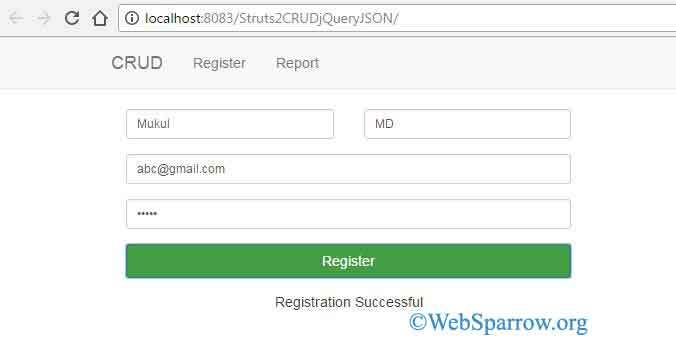 On this page, we will create a simple Struts2 CRUD operation using jQuery ajax. The ajax() method is used to perform an AJAX (asynchronous HTTP) request. 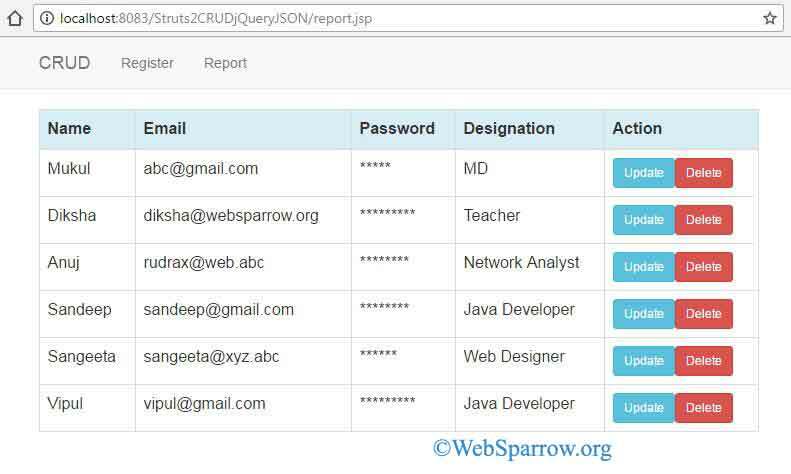 In this example, we will insert the user information into the database, fetch information from the database, update user information into the database and delete the user information. Note: You must have struts2-json-plugin-2.x.x.jar file in your project, it allows you to serialize the Action class attribute which has getter and setter into a JSON object. This class will contain all the method for handling the user information into the database. To make it simple I have separated all the action class. This class will take the input from the form and save it into the database. In this class, we will fetch all the saved information from the database and return to JSP page. 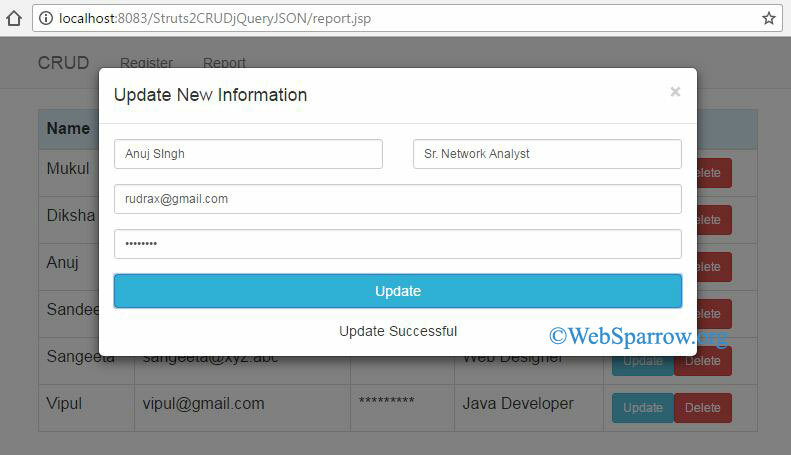 Update action class update the new user information into the database. Delete the selected user information from the database. This JSP page will take user information. 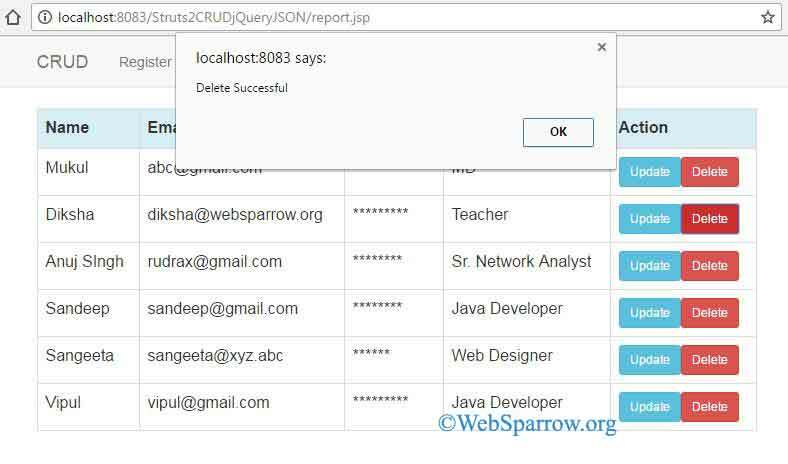 In this JSP page, we will show the all saved user information and update the new user information and delete it. 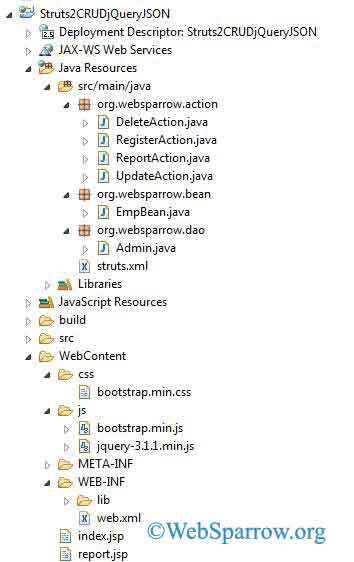 Now map your action class in struts.xml. We will need to set package extends="json-default" result type is json.